The On-farm Scour Diagnosis Kit. 1. Simple to use on-farm testing kit to determine Rotavirus, Coronavirus, E-coli and Cryptosporidium. 2. Accurate diagnosis determines the most effective course of action for treatment. 3. From the test kit results, preventative measures can be implemented. 4. Confirms faecal test results within 10 minutes. 5. The CALF DIARRHOEA TESTING KIT consists of highly sensitive immunoassay test strips in a user friendly test cassette. 7. Available in boxes containing 5 kits. 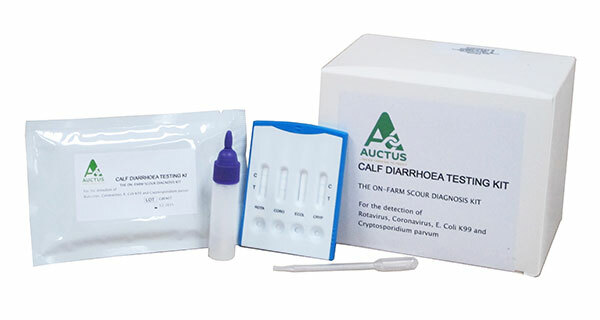 To download CALF DIARRHOEA TESTING KIT product information, click here. To view a product demonstration video, click here.